Popular Hamilton 2 floor plan in immaculate condition with neutral decor. 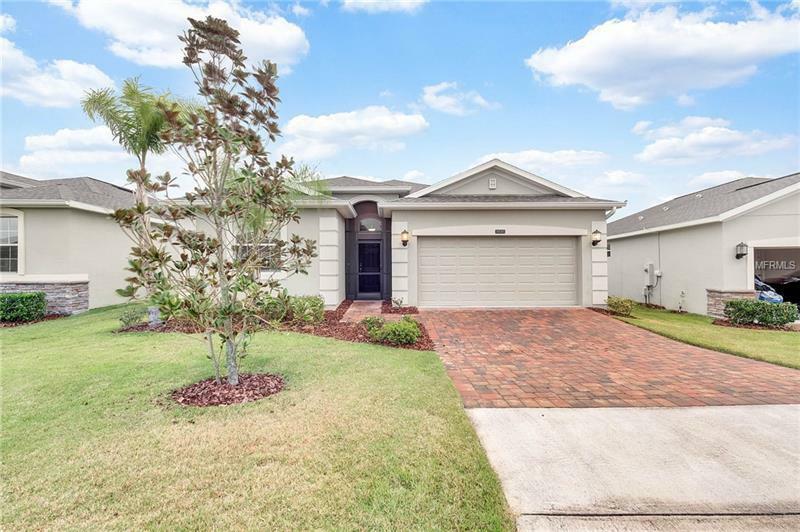 This 3/3 home features a split floor plan with tile throughout all living areas. Kitchen has upgraded stainless steel appliances and a walk in pantry. Family room slider has plantation shutters. Outside you can enjoy your screened in lanai, if you are not out enjoying the many things to do in this guard gated community. Yards are fully taken care of to give you plenty of time to enjoy your days. Community features Mediterranean-style Clubhouse, resort-style pool, spa, lighted tennis courts, fitness center, aerobics studio, arts and crafts room, billiards room, 60 course golf simulator, library, poker and card rooms, putting green with sand trap, community sports courts include shuffleboard, bocce, tennis, pickleball, You can also use the walking trails in the community, or take your dog to the dog park.